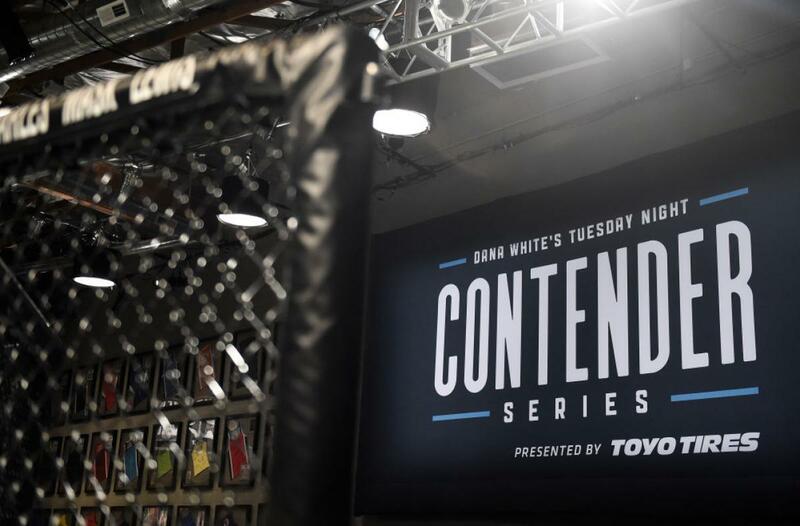 The latest season of Dana White's Tuesday Night Contender Series will roll on this week with a featured matchup taking place in the women's strawweight division between Maycee Barber and Jamie Colleen. On last week’s show, UFC President Dana White handed out two more contracts as Bevon Lewis and Jordan Espinosa will join the roster following two highlight reel finishes. Lewis is now a two-time Contender Series veteran with a pair of knockouts as he joins the UFC's middleweight division. Meanwhile, Espinosa also picked up his second win on the series while earning a TKO finish with just two seconds remaining in the fight. This week's edition will feature matchups ranging from the women's strawweight division all the way up to middleweight, with several exciting prospects looking to catch the attention of the UFC matchmakers. With that said, let's take a look at the matchups that will take place tonight. Maycee Barber has not been shy about her goals in the sport of mixed martial arts, but to get there she's going to have to go through Jamie Colleen, who will be looking for her second win in the Contender Series. At just 20 years of age, Barber has said she wants to be the youngest champion in UFC history and she still has three years to go before she'll run into Jon Jones‘ all-time record. Barber is a ferocious mixed martial artist with four wins, three by way of knockout or submission and she's been competing at a high level with all of her bouts taking place in LFA – an organization known for producing a ton of fighters who are on the current UFC roster. As for Colleen, she's returning to the Contender Series after earning a stunning third round submission against Tiffany Masters last year. Colleen suffered a knee injury in that fight but still managed to gut out the victory and now she's back for more. Colleen is a very solid prospect training out of the Gracie Academy and her only career loss came to current UFC strawweight Danielle Taylor back in 2016. This should be a barnburner between two very hungry strawweight prospects. A pair of top-flight bantamweight prospects will meet on Tuesday when Vince Morales takes on Dom Pilarte. Morales comes to the Contender Series with seven wins — all coming by way of knockout or submission — so he's definitely going to be gunning for the finish in this fight. Morales comes from a wrestling background, although he was a late arrival to the sport after first deciding to hit the mats when he was a freshman in high school. Morales also comes from a fighting family, as his cousin Ricky Simon is currently a member of the UFC roster. Meanwhile, Pilarte comes out of Houston, where he owns an 8-1 record. Pilarte is a long, lanky fighter competing in the bantamweight division and he's currently riding a four-fight win streak. Pilarte is better known for his slick groundwork and a vast submission arsenal, but don't sleep on his standup, as he's earned a pair of wins by knockout as well. A pair of welterweight hopefuls will square off this week when Austin Vanderford takes on Angel Trevino. Vanderford is already well known by many UFC fans thanks to his girlfriend Paige VanZant, who has been very excited to see him get his shot in the Contender Series this week. Vanderford trains out of Gracie Barra in Portland, Oregon where he works under former UFC fighter turned coach Fabiano Scherner. Vanderford is undefeated with two of his wins coming by way of knockout or submission. Trevino will definitely have the experience edge in this matchup, with more than twice professional fights as Vanderford when they step into the cage together. Trevino trains out of Team Alpha Male in Sacramento, which is ironically where VanZant used to call home before moving to Oregon. Trevino has won his past four fights in a row and obviously spends most of his days training alongside a bevy of top fighters around his own division including fellow prospect Sage Northcutt. The first matchup of the night will see a pair of undefeated middleweights meet in the Contender Series. Edmen Shahbazyan comes into his fight with six professional bouts on his resume with all six ending by way of first-round knockout. Shahbazyan trains out of the Glendale Fight Club, where he works with head coach Edmond Tarverdyan, who of course was also the head coach of UFC Hall of Famer Ronda Rousey. Shahbazyan is best known for his fast hands and knockout power, so look for him to keep this fight standing and gun for the finish in the early going. As for Jones, he's a 33-year old prospect out of Texas who has put together an impressive resume thus far in his career. Jones holds a win over UFC veteran Roger Narvaez from June 2017 and he has shown a well-rounded mixed martial arts game. And while he has gone to decision on several occasions, he's faced some stiff competition during the early part of his fight career. 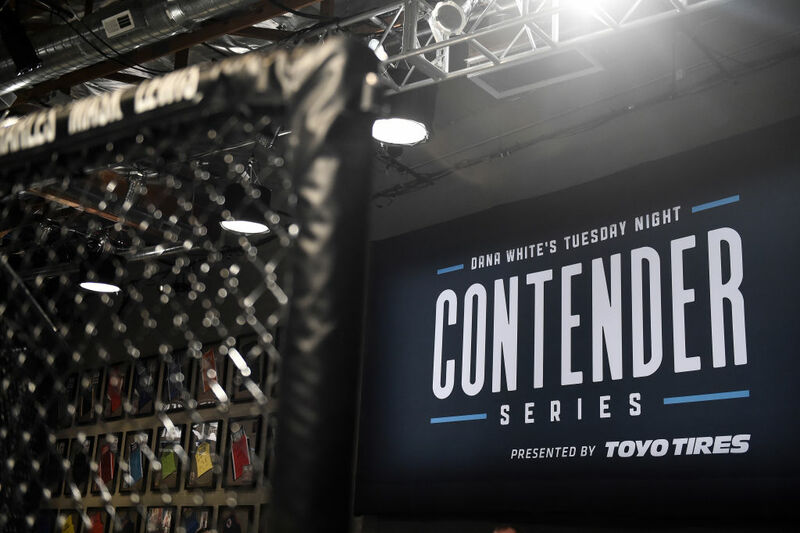 Chibwekem Onyenegecha-Palmer will take on late replacement Anthony Adams in a middleweight tilt on the Contender Series. Adams replaced an injured Maki Pitolo on short notice to accept this opportunity on short notice. Adams comes into the fight with an undefeated record training out of Aurora, Colorado. Adams trains under mixed martial arts veteran Thomas Denny, who was one of the most active fighters of his era. Through his first six fights, Adams has gone to decision each time but that also means he's got plenty of gas in his tank to push the pace for all three rounds if that's what it takes to get the win. Meanwhile, fellow unbeaten Chibwikem Onyenegecha-Palmer will make his Contender Series debut fighting out of Oklahoma, where he works under head coach and UFC veteran Matt Grice. Palmer is an exciting fighter with a ton of knockout power considering he's finished every single one of his opponents by KO. At just 24 years old, Palmer seems like a fighter to watch for the future and he'll definitely look to shine when he steps into the cage tonight.